3x23 "Battles Lost and Won"
Supergirl and team take on Serena in an epic battle for Earth. I know the circumstances weren't what you were expecting. Her vitals are weak, but they're steady. And what is "Then there's this"? A trap? I'm just guessing. I'm so sorry I doubted you. I came in here ready to kill her. She did, but I screwed up. because the Greek gods have nothing on you. the ups, the downs, the particularly tough days. You wouldn't be the man you are, if you did. I lived with him, I learned from him. very own James Olsen is Guardian. Supergirl learns the true depth of Serena’s nefarious plans for Earth. Supergirl, Mon-El and Alura must devise a plan to stop her before Serena gets to Earth. J’onn prepares to say goodbye to his father. Alex, I hope we're not disturbing you. while my culture has been forced into the shadows, deemed unworthy. Now I feel like I can barely hold my head up. - We will. - We will. An omnidirectional, self-maintaining, sub-atomic personal shield. She had to have another plan to get to Earth. We're gonna figure this out. I promise, okay? My mom and Mon-El are with me. We're stranded on Argo. Just don't share them with your imaginary friend, Zook. you will not feel loss, J'onn. I'm not sure I can do it again. Find the blood of our sisters. I bowed down to you. by three heat-vision blasts at once. Kara makes a major life decision. J’onn finds out that special DEO-caliber guns have hit the streets of National City. and it's exactly the same. which means they have some sort of synthetic gravity manipulator. protect National City with pride, and make you proud. and shown me what it means to find fulfillment in the work we do. Uh, that sounds about right. Okay, we really need to catch up. she would absolutely love it. I mean, only your father knows. Do not forget what I've said, my son. It just feels amazing to be normal. of the assault rifle we produce for you. That is for military personnel, trained officers, law enforcement. can stay for as long as they want. that thinks that having a gun makes everybody safer, right? And, uh, your children, where are they tonight? And your quality of sleep. before he can use that weapon on anybody else. How many guns did he buy? we could predict each other's thoughts. But I think I've been lying to myself. And all I wanted was for you to be in that field with me. and now you try to kill the daughter of the House of El? Dude, that is as sure as you're allowed to be in science. We are agents of peace. I really can't thank you enough for bringing me on. 3x20 "Dark Side of the Moon"
Supergirl is stunned to discover that a part of Krypton survived. Alex is attacked while out with Ruby. Lena considers how far she will go to keep Reign contained. I think you'd be golden. How much longer do you think you can hold me? And that's that you need to be stopped. That's the only thing we've been right about. Um, why don't you go into the conference room? Look, the Hellgrammite and Griggs have been in containment. I'm sorry, that would have... That would made you 17 when you arrested him. His legacy keeps our air breathable, and shields us from invaders. I was hoping to get to know my daughter. Every time I close my eyes, I see that young boy's face. All the more reason to cull it. You kept one in my room when I was little. I gave up hope. I thought you had died with Krypton. I've thought of her so much. and we needed to borrow these so we could, uh, fit in. during the dark days before Krypton's destruction. Argo City is all that remains. is threatened by this Worldkiller of Kryptonian making. in their time of need? We must set an example for future generations. But you, J'onn, you gave me purpose. You know, whether I'm with somebody or if I'm doing it by myself. Why don't we get you a cat? We got separated, and I need to know that she's okay. No, it's not him, it's them. You forget, they did shoot me. get through this whole ordeal with her mom." I just wish there was some way I could slow down the illness. But she was the first one to turn on Coville at the stadium. to the corner of Pacific and First at 5:00 p.m.
Ruby, I know you miss your mom. It's a sacrifice you're making to protect her. and in the next, I'm shielding my eyes from police lights. And my mom was there. Ruby, can you please stay with Myr'nn? Mon-El found a frequency I can hear. Let's go. 3x18 "Shelter from the Storm"
When Reign starts hunting Ruby, Supergirl and Alex work together to keep her safe. Supergirl and J’onn look to Sam’s mother for advice on how to stop Reign and come away with some shocking news. I assessed you as a first-level intellect. I have faith that I'll see her again. And how does Lex know about it? and the fact that the owner was a serial killer. Since the incident at the DEO, he has become increasingly depressed. On their own, they have a 51% chance of success. so she's now more dangerous than ever. White Martians are as soulless as Reign. Father, this is not Ursula. This is Kara, my friend. you'd put your feelings for Kara behind you. But James Olsen convinced me that we were on the same side. I don't know, it sounds like exactly what you need to subdue Reign. We can't get to the phone, so leave us a message. Without your Kryptonite, we wouldn't have stopped her. Well, it seems that Brainy might have put a nanny cam in Winn's dirt. I'm gonna go talk to Ruby. that you're all finally together. - I don't see anything. - That's because he's mine. I was working to rid Sam of Reign, to free her. I've had enough of that today. I've, um... I've gotta go. they were all created by Kryptonian witches to do one thing. You dreamt of Julia Freeman, too. She turned out to be real. What's more, I know Sam, and you don't. I am Purity. I am Purity. So, let's put this to bed. Once and for all. That's a Kryptonian demon. I've seen them before. Yeah. It's almost as if she didn't want anybody to get in there. Hey. Hey! We have to get you out of here. What if I told you the future is magnets? I know. Pull up 6,000 feet, and vent the engines. The fortress is gone, like it was never there. Hey, we didn't get to talk earlier. Any reason I could to distrust you. Yes. And if we can isolate it, we can eliminate it. No. I'm not sick, just scared. 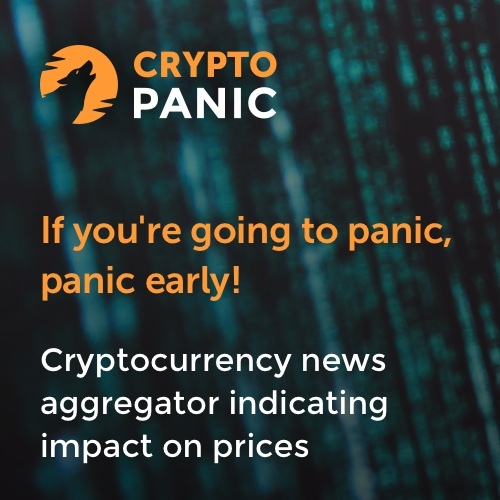 The last thing we need is a panic. Brainy and Mon-El are getting the transfer set up now. We got the wrong person, she's a human. A victim. I've got every reporter in the building working on this. Look, I don't wanna kill her or anyone. Whatever you do in this time to try to stop her, fails. Your friend, she's breaking your body. It's like facing your shadow. Do you think I'll get through to Pestilence? - To come back. - How do you know? Millions of people will be saved. Oh, yes, there it is. I see it now. so much of my baggage was tied into her abandoning me. Like, I could be the next Steve Jobs. I'm really sorry I can't be there with you. Well, I'm doing the best I can here. That's that doctor. She was talking to Winn and Alex at City Hall. You sit here wallowing in your own ignorance. I don't know what to follow. 3x15 "In Search of Lost Time"
What if Reign and Purity find Pestilence before we do? - from that planted foot right there. - Mm-hmm. You egotistical little son of a serial killer. I am always cleaning up your messes. For the record, I think you're super smart. Like I'd let someone like you near Ruby. This technology would make him reliant on me. And I'm gonna make sure you never see Ruby again. I'd prefer to go back to my prayer room. - Dad, you're forgetting. - No! I just have to stay in the hospital for a little while. 3x14 "Schott Through the Heart"
No one is helping him! So, we should get to your place ASAP and get that roast in the oven. About being Daxam's prince, about a lot of stuff. Well, except for the fellows hanging from the gallows. No, Winn. He threatened yours. Okay. Well, keep me posted. My son has found goodhearted friends in his time on this planet. - It's a fair point. - Yeah. That is a dangerous thought exercise designed purely just to piss you off. He doesn't always get the credit, but he keeps us going around here. - Does that make you feel better? - Yes. You mean besides K'hym and T'ania? - You already knew? - On Mars we called it Za-alet. And I choose how best to protect him, not you. Are you paid enough to care? No, of course not. Um, do you remember when I took you to Disneyland when you were nine? but now, now I can use it. Let's go. So glad Junior brought his friends. And, frankly, it doesn't really feel great for me. to kill me and get rid of the problem. I got a story for ya! my car steers itself off the road, explodes into the water. And security knows better than to let him in again. Let your friends help you. I'm gonna make it painless. Yeah, I thought of that guy too, but there's no connection to Edge. Her brain and her heart are going to shut down. People are acting, reacting, escalating behaviors. It's more important than if you ever were to catch another bullet. You're not thinking clearly right now, okay? Do you know of any other mother who would kill for her daughter? There you go again, devaluing yourself. You gave all that up to buy a vanity business? Please let me prove to you how much I love you. You shouldn't have had to go through this alone. and I just stared at her in awe. Only reason he's still alive is he outsmarted me. That was low, even for you. You're insane, you know that? MonEl, I've hacked the drone, it is ready. Thank you for letting me borrow this. Maybe you can enlighten me when you visit me in prison. We'll figure it out, okay? I promise. He's not gonna come back and try again in person. before you make an enemy out of me. Talking heads who regurgitate the news? You have no idea what that means to me. Cunning. Strategic. I think steps ahead of most people. Because you screwed with her daughter. Holy crap, is that the Lexosuit? That is awesome. She's been killing criminals, so, you decided to go straight. Just take care of each other. Well, according to the reading, we should be securely locked on. I know what turbulence is! - Who? - The human side of me. I still feel so sad. "Erika Morrison." What does she know? - You're sure you're okay? - Yeah. She wanted Jindah to join us. Fort Rozz has been hit by a solar flare. so find a way to be useful here. So, what's the deal with that beautiful girl? I think I should probably still talk to your parents about this. "Four and twenty naughty boys baked into a pie." and we will bring anguish upon our enemies. You don't have to be my enemy. - No. Leslie, no! - Leave her. Don't get emotional. I just didn't want to die out there. - Okay. Bye. - Bye. They had a car for me. I never got in the car. Struggling to heal from her injuries inflicted by Reign, Supergirl remains in a dreamlike state, unable to be reached. Mon-El recruits one of the Legion members, Brainiac-5, to try to bring her back. Meanwhile, Reign continues her rampage on the city so the DEO teams up with the Legion of Super-Heroes to try to stop her. But when will she wake up? Show them what justice really is. From Aristotle, Shakespeare, Bon Jovi. We still have the Kryptonite from Coville's probe, right? She's sick. She's sick. She has the flu. Then why won't this thing open? Our DNA. Where it can't be lost, it can't be stolen. Yeah, it turns out that you were right about the chemistry. it is not because of your last name. James Olsen's extraordinary kissing ability. "You live for the fight when it's all that you've got." I guess I just like putting things back in order. And we ought to get some exercise. I was awoken to them. Your example gave my life purpose. - Oh, dude, are you serious? Again? - Come on. The Empire Strikes Back is the best movie sequel of all time. but I did get two really great things out of it. Okay? Guys, we need information. are the ones I'm gonna roast chestnuts over. I'm guessing that you probably steered clear of Aldebaran rum. I should get this. Hello. The forgotten from Fort Rozz. The one who will bring about the end of time. Kara, do you have a second? I was wondering if we could talk. And who said Santa isn't real? But the shooter used to work for the annual National City Tech Conference. So our bad guy is Kryptonian. But, you know what, at least two of us still get to be happy. that's leaving those alien marks. see if they left behind anything I can trace. Are you saying Supergirl attacked you? Then I will dispense my justice on you. 3x8 "Crisis on Earth-X (1)"
Barry, we have a major problem. It'll be your neck if we're late. We got a wedding to prepare for! What? Wait, what are we doing? but thank you for letting me bring my sister as my plus-one. I call it, "The calm after the Firestorm". "Fields". I've got a million fields. This is fantastic news, isn't it? But I need time to test it. Ronnie was such a great man. Well, I'm sure Cisco could fashion you a more exciting sobriquet. about Barry and Iris that everyone in this room doesn't already know? of talking about anything else right now. Like, twice, I think. Three times. - Sparkling? - Excuse me? No. No, I'm a complete and total stranger. before this is all over. When Winn and the team discover an alien ship has crash landed deep underwater beneath National City, Kara/Supergirl is called in to investigate. Meanwhile, Hank attempts to bond with his father, Myr’nn. Samantha, eager for some understanding of the changes she has been experiencing, looks to her estranged mother, Patricia Arias, for answers. Exactly why I think that you might wanna take him out. Okay, slow down, slow down. We're getting close, we're getting close. That's not what I wanted to have happen at all. I will alert you if anything happens. It's only a short walk from the DEO. You can come down here any time. I know I am not a prisoner of the DEO, my son. He's... I just made him help me. How could you have changed so much? It's only been seven months. I thought it might be a better fit than the DEO. Yeah, and I should have known better. It was a lead-dispersal bomb that drove 'em away. Have you ever heard of the cobra effect, Lena? Supergirl would be just as much to blame. where bureaucracy got in the way. We have some sensors that will analyze the particulate. Bank statements. Let's follow the money. something that I've always known. I wish I could change the way I feel. They've been using it instead of chlorine. gets all the stuff that he's gonna use to kill the roadrunner from, right? - Distress call. - What distress call? - Let me go. - No! Well, feel better, Jimmy Olsen. Uh, more than pretty good, if I do say so myself. I was hoping you'd take longer getting home. So this is what your revenge looks like? You wanted to be a hero so bad you didn't care who you hurt. Right away. And, uh, I'm so sorry. or even profiting from the sick. You're gonna answer for what you did to my son. Which is why we're testing it. You gave me a break when I needed it the most. I came to let you know that I'm not done. There's gotta be some way these kids are connected. I'm in a cargo plane headed directly to the reservoir. Release isn't working. I can't dump the payload. Just needed a little gunshot residue on your hands. Convenient. - Besides, I heard they found the guy. you dumped me on a cargo ship in the middle of the sea. - It's starting! Sit. - Okay. I'm talking about being spiritually lost. Do you remember saving her? Okay. So I ran facial recognition. Thomas Coville was on Flight 237.
invites me to dinner at The Baldwin where he's staying, right? ...religion. Do you mind if I ask a few questions? Rao says even his Gods can lose their way. If I am a God, you need to do as I say. But I got the complaint dismissed. And I lost my footing. Kara, you're something that we can see, something that we can touch. Imagine how many recruits he'd get with a bomb. that She is the God of our Earth. You said she would save us. That she would save everybody. I know you gave me a name at the rec center. Ruby's got a lot of cool aunts. I want all the experiences that Mom had with us. 3x3 "Far from the Tree"
That was the last thing that my father said to me. he came to the wrong planet. Myr'nn J'onzz is the high religious leader of the Green Martians. They didn't realize how valuable he'd be to us. You never told me the whole story about your dad and the car. will break me, you are a fool. You think you have what it takes to break my father's mind? What they'd think of the person you've become? for your comfort if not for my own. to slaughter each other too. Margarita, there's no picture of you up here. Oh, I think I know who this is from. I can't, I don't understand. There is no future for Mars. about all your favorite things. Okay, when you say "hit..."
and make sure that this is an isolated incident for her. I really missed you there. - Shoot. Someone else has come to play. adapt our psychic dampening technology to stop her. You have to be the one to solve this, that's why I'm telling you. I can, but there's something I have to do first. I plan to get out of it everything I can. I felt her in that elevator with me. Okay, great. Yeah, thanks again. I'll see you tonight. He told you, didn't he? It's not always gonna feel like that, I promise. What did you see? I wonder. You've got gravel on your hair. It's not a win until they're behind bars. What? I'm not like that. In six months, you've done the impossible. You know, Edge, you are not as powerful as you think you are. (SIGHS) Best Press Secretary since Robert Gibbs. I'd like to announce a bold new direction for my company. for the part I played in what happened to Mon-El. - As frustrating as this is... - Beyond. Okay. Guardian means a lot to me. (SING-SONG VOICE) People are gonna start talking. once I have CatCo's editorial under my control. Or anywhere else on his premises or person. was gone forever, what would you be doing? I will always make the decision I made. She saved me more times than Supergirl ever could. It's the only place I could feel empty. Ruby! Rubes, come here, baby. I don't get it. The cloaking device should not be able to cloak a missile. I cannot track that explosion to the source, you guys. Please tell me you convinced him not to buy CatCo. You're more of a lunatic than your brother is. And, J'onn, I choose you to be my family.